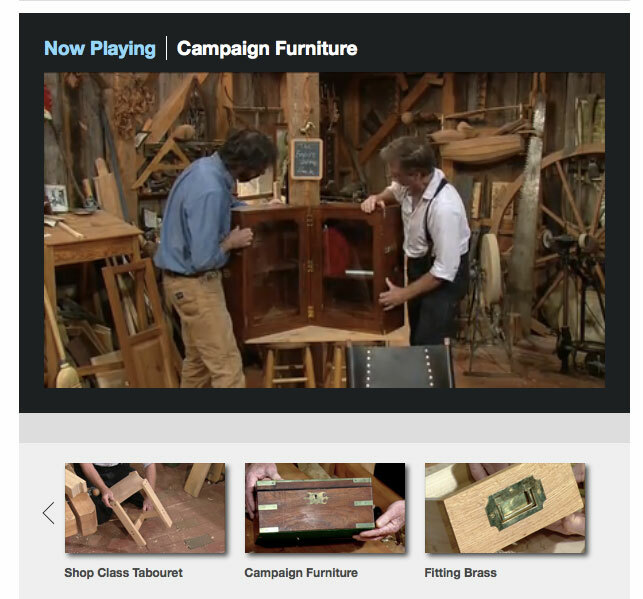 The pieces shown in the episode are also featured in my book “Campaign Furniture,” which is available in our store and through our retailers. We are almost sold out of the the first edition of this book and we will be returning to press to print the second edition shortly. So if you are one of those people who collects first editions, consider yourself warned. I have already watched them as soon as they were put up. I check PBS daily for new stuff from Roy I think I have seen them all about 10 times. I love the ones with you in them I have learned so much just watching.. But which type of hippie are you, the “giggling stoner hippie”, “the drum circle hippie” or the worst of them all, “the college know-it-all hippie”. Hope you and your family had a happy Thanksgiving. Just watched the first one. “Drop your knickers and think of the fields of England” made me laugh out loud! Have a couple of campaign pieces – inherited and looking to make one of the officer’s chair.